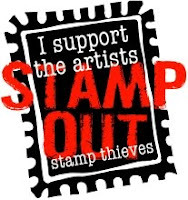 Love the Bildmalarna Stamps, and Bizzy Bec has an awesome range of them, she has some in stock and some that will be in soon, you can check them out here. I have coloured this one with my Copic's on X-Press It bending paper and the DP is from My Minds Eye - Madison Avenue' Collection which is also available from Bizzy Bec's along with the flowers and pearls. The border is done with a Martha Stewart punch. 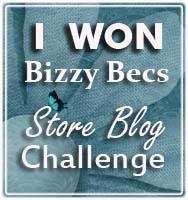 Scrawl down for more inspiration and to join in Bizzy Bec's March Store blog Challenge. Wow Sue, she is just toooo cute! This is just gorgeous Sue, look at all those layers...fabulous, I try to do that but does not look the same, love the image and gorgeous colouring. Your card is just darling... love that adorable image! This girl is very sweet!Greating!!! I love the image and the beautiful colours and details! so cute!!!!! very very very beautyful!!!!!!!!!!!! Beautiful layout and aadorable little girl,love your colouring in!